Dripping Faucets: A leaking faucet in your home can become a constant annoyance. When it’s late at night and you’re trying to fall asleep, that constant drip seems to be the only thing you can hear. In addition to this, it’s an incredible waste of water and money. Even if the leak is minor you’re going to waste a ton of money and even potentially damage your home over time. Cause: A leaky faucet more than likely means that your O ring has worn down, but it could also be a sign of deterioration somewhere else along the line in your plumbing system. Your plumbing system works hard to keep your faucet functional. What to Do: You should always call a professional plumber for these problems. Even if the problem seems straightforward, it probably isn’t because your plumbing system is so complex. Our professional plumbers will make sure that you always have your plumbing fixed right the first time. 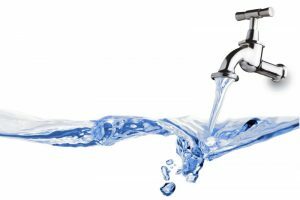 Low Water Pressure: Notice that your water seems to trickle out of the faucet when you wash your hands? This is a problem that’s incredibly frustrating and bad for the efficiency of your plumbing system too. Cause: Low water pressure is normally the early stage of a clog, so their causes usually are one in the same. Corrosion is also a major issue that leads to low water pressure. What to Do: Call a professional. We can help you clear up the problem in your plumbing system causing the low water pressure, or even match you with a new appliance if your current one is past the point of repair. Cause: Clogs seem to have an infinite amount of causes—anything from an overgrown tree root to FOG (fat, oil, or grease) that’s congealed in your system. You can prevent a clog in the future by educating yourself about what should and shouldn’t go down your drain. What to Do: Put down the store-bought drain cleaners and reach for the phone. Although it might seem like clogs are a low-level problem, trying to DIY this issue can escalate it to a disaster. Call our team. If you need help with your plumbing system then make sure that you call our team. Contact Murphy’s Plumbing, Heating & Air Conditioning today.